Finland (Finnish: Suomi [suo̯mi] (listen); Swedish: Finland [ˈfɪnland] (listen)), officially the Republic of Finland (Finnish: Suomen tasavalta, Swedish: Republiken Finland (listen to all)),[note 1] is a country in Northern Europe bordering the Baltic Sea, Gulf of Bothnia, and Gulf of Finland, between Norway to the north, Sweden to the northwest, and Russia to the east. Finland is a Nordic country and is situated in the geographical region of Fennoscandia. The capital and largest city is Helsinki. Other major cities are Espoo, Vantaa, Tampere, Oulu and Turku. The name Suomi (Finnish for "Finland") has uncertain origins, but a candidate for a source is the Proto-Baltic word *źemē, meaning "land". In addition to the close relatives of Finnish (the Finnic languages), this name is also used in the Baltic languages Latvian and Lithuanian. Alternatively, the Indo-European word *gʰm-on "man" (cf. Gothic guma, Latin homo) has been suggested, being borrowed as *ćoma. The word originally referred only to the province of Finland Proper, and later to the northern coast of Gulf of Finland, with northern regions such as Ostrobothnia still sometimes being excluded until later. Earlier theories suggested derivation from suomaa (fen land) or suoniemi (fen cape), but these are now considered outdated. Some have suggested common etymology with saame (Sami, a Finno-Ugric people in Lapland) and Häme (a province in the inland), but that theory is uncertain. The first survived use of word Suomi is in 811 in the Royal Frankish Annals where it is used as a person name connected to a peace treaty. In the earliest historical sources from the 12th and 13th centuries, the term Finland refers to the coastal region around Turku from Perniö to Uusikaupunki. This region later became known as Finland Proper in distinction from the country name Finland. Finland became a common name for the whole country in a centuries-long process that started when the Catholic Church established missionary diocese in Nousiainen in the northern part of the province of Suomi possibly sometime in the 12th century. If the archeological finds from Wolf Cave are the result of Neanderthals' activities, the first people inhabited Finland approximately 120,000-130,000 years ago. The area that is now Finland was settled in, at the latest, around 8,500 BCE during the Stone Age towards the end of the last glacial period. The artifacts the first settlers left behind present characteristics that are shared with those found in Estonia, Russia, and Norway. The earliest people were hunter-gatherers, using stone tools. The first pottery appeared in 5200 BCE, when the Comb Ceramic culture was introduced. The arrival of the Corded Ware culture in Southern coastal Finland between 3000 and 2500 BCE may have coincided with the start of agriculture. Even with the introduction of agriculture, hunting and fishing continued to be important parts of the subsistence economy. In the Bronze Age permanent all-year-round cultivation and animal husbandry spread, but the cold climate phase slowed the change. Cultures in Finland shared common features in pottery and also axes had similarities but local features existed. Seima-Turbino-phenomenon brought first bronze artifacts to the region and possibly also the Finno-Ugric-Languages. Commercial contacts that had so far mostly been to Estonia started to extend to Scandinavia. Domestic manufacture of bronze artifacts started 1300 BCE with Maaninka-type bronze axes. Bronze was imported from Volga region and from Southern Scandinavia. In the Iron Age population grew especially in Häme and Savo regions. Finland proper was the most densely populated area. Cultural contacts to the Baltics and Scandinavia became more frequent. Commercial contacts in the Baltic Sea region grew and extended during the 8th and 9th Centuries. Main exports from Finland were furs, slaves, Castoreum, and falcons to European courts. Imports included silk and other fabrics, jewelry, Ulfberht swords, and, in lesser extent, glass. Production of iron started approximately in 500 BCE. In the end of the 9th century, indigenous artifact culture, especially women's jewelry and weapons, had more common local features than ever before. This has been interpreted to be expressing common Finnish identity which was born from an image of common origin. An early form of Finnic languages spread to the Baltic Sea region approximately 1900 BCE with the Seima-Turbino-phenomenon. Common Finnic language was spoken around Gulf of Finland 2000 years ago. The dialects from which the modern-day Finnish language was developed came into existence during the Iron Age. Although distantly related, the Sami retained the hunter-gatherer lifestyle longer than the Finns. The Sami cultural identity and the Sami language have survived in Lapland, the northernmost province, but the Sami have been displaced or assimilated elsewhere. The 12th and 13th centuries were a violent time in the northern Baltic Sea. The Livonian Crusade was ongoing and the Finnish tribes such as the Tavastians and Karelians were in frequent conflicts with Novgorod and with each other. Also, during the 12th and 13th centuries several crusades from the Catholic realms of the Baltic Sea area were made against the Finnish tribes. According to historical sources, Danes waged two crusades on Finland, in 1191 and in 1202, and Swedes, possibly the so-called second crusade to Finland, in 1249 against Tavastians and the third crusade to Finland in 1293 against the Karelians. The so-called first crusade to Finland, possibly in 1155, is most likely an unreal event. Also, it is possible that Germans made violent conversion of Finnish pagans in the 13th century. According to a papal letter from 1241, the king of Norway was also fighting against "nearby pagans" at that time. As a result of the crusades and the colonisation of some Finnish coastal areas with Christian Swedish population during the Middle Ages, Finland gradually became part of the kingdom of Sweden and the sphere of influence of the Catholic Church. Due to the Swedish conquest, the Finnish upper class lost its position and lands to the new Swedish and German nobility and to the Catholic Church. In Sweden even in the 17th and 18th centuries, it was clear that Finland was a conquered country and its inhabitants could be treated arbitrarily. Swedish kings visited Finland rarely and in Swedish contemporary texts Finns were portrayed to be primitive and their language inferior. Swedish became the dominant language of the nobility, administration, and education; Finnish was chiefly a language for the peasantry, clergy, and local courts in predominantly Finnish-speaking areas. During the Protestant Reformation, the Finns gradually converted to Lutheranism. In the 16th century, Mikael Agricola published the first written works in Finnish. The first university in Finland, the Royal Academy of Turku, was established in 1640. Finland suffered a severe famine in 1696–1697, during which about one third of the Finnish population died, and a devastating plague a few years later. In the 18th century, wars between Sweden and Russia twice led to the occupation of Finland by Russian forces, times known to the Finns as the Greater Wrath (1714–1721) and the Lesser Wrath (1742–1743). It is estimated that almost an entire generation of young men was lost during the Great Wrath, due namely to the destruction of homes and farms, and to the burning of Helsinki. By this time Finland was the predominant term for the whole area from the Gulf of Bothnia to the Russian border. Two Russo-Swedish wars in twenty-five years served as reminders to the Finnish people of the precarious position between Sweden and Russia. An increasingly vocal elite in Finland soon determined that Finnish ties with Sweden were becoming too costly, and following Russo-Swedish War (1788–1790), the Finnish elite's desire to break with Sweden only heightened. Even before the war there were conspiring politicians, among them Col G. M. Sprengtporten, who had supported Gustav III's coup in 1772. Sprengporten fell out with the king and resigned his commission in 1777. In the following decade he tried to secure Russian support for an autonomous Finland, and later became an adviser to Catherine II. In the spirit of the notion of Adolf Ivar Arwidsson (1791–1858), "we are not Swedes, we do not want to become Russians, let us therefore be Finns", the Finnish national identity started to become established. Notwithstanding the efforts of Finland's elite and nobility to break ties with Sweden, there was no genuine independence movement in Finland until the early twentieth century. As a matter of fact, at this time the Finnish peasantry was outraged by the actions of their elite and almost exclusively supported Gustav's actions against the conspirators. (The High Court of Turku condemned Sprengtporten as a traitor c. 1793.) The Swedish era ended in the Finnish war in 1809. 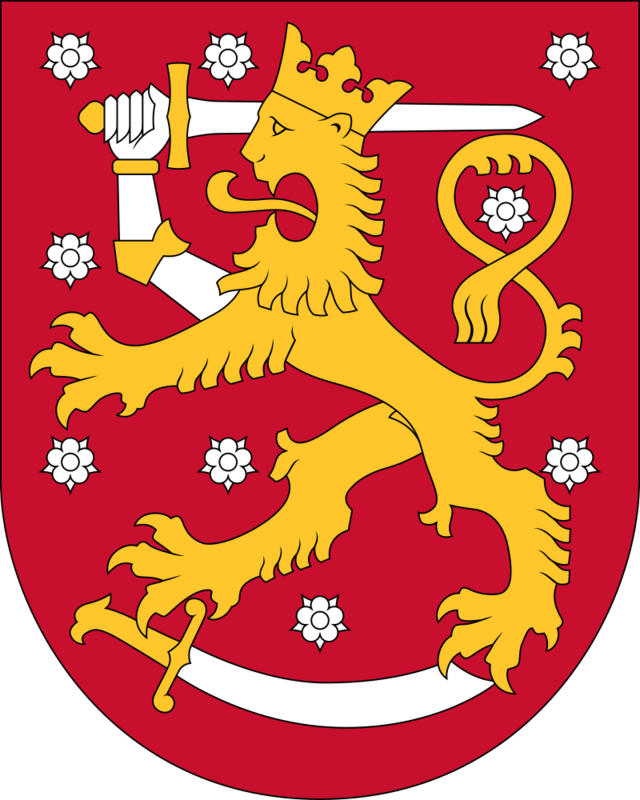 On 29 March 1809, having been taken over by the armies of Alexander I of Russia in the Finnish War, Finland became an autonomous Grand Duchy in the Russian Empire until the end of 1917. In 1811, Alexander I incorporated Russian Vyborg province into the Grand Duchy of Finland. During the Russian era, the Finnish language began to gain recognition. From the 1860s onwards, a strong Finnish nationalist movement known as the Fennoman movement grew. Milestones included the publication of what would become Finland's national epic – the Kalevala – in 1835, and the Finnish language's achieving equal legal status with Swedish in 1892. The Finnish famine of 1866–1868 killed 15% of the population, making it one of the worst famines in European history. The famine led the Russian Empire to ease financial regulations, and investment rose in following decades. Economic and political development was rapid. The gross domestic product (GDP) per capita was still half of that of the United States and a third of that of Britain. White firing squad executing Red soldiers after the Battle of Länkipohja (1918). After the 1917 February Revolution, the position of Finland as part of the Russian Empire was questioned, mainly by Social Democrats. Since the head of state was the tsar of Russia, it was not clear who the chief executive of Finland was after the revolution. The Parliament, controlled by social democrats, passed the so-called Power Act to give the highest authority to the Parliament. This was rejected by the Russian Provisional Government which decided to dissolve the Parliament. New elections were conducted, in which right-wing parties won with a slim majority. Some social democrats refused to accept the result and still claimed that the dissolution of the parliament (and thus the ensuing elections) were extralegal. The two nearly equally powerful political blocs, the right-wing parties and the social democratic party, were highly antagonized. The October Revolution in Russia changed the geopolitical situation anew. Suddenly, the right-wing parties in Finland started to reconsider their decision to block the transfer of highest executive power from the Russian government to Finland, as the Bolsheviks took power in Russia. Rather than acknowledge the authority of the Power Law of a few months earlier, the right-wing government declared independence on 6 December 1917. On 27 January 1918, the official opening shots of the war were fired in two simultaneous events. The government started to disarm the Russian forces in Pohjanmaa, and the Social Democratic Party staged a coup. The latter gained control of southern Finland and Helsinki, but the white government continued in exile from Vaasa. This sparked the brief but bitter civil war. The Whites, who were supported by Imperial Germany, prevailed over the Reds. After the war, tens of thousands of Reds and suspected sympathizers were interned in camps, where thousands died by execution or from malnutrition and disease. Deep social and political enmity was sown between the Reds and Whites and would last until the Winter War and beyond. The civil war and activist expeditions into Soviet Russia strained Eastern relations. After a brief experimentation with monarchy, Finland became a presidential republic, with Kaarlo Juho Ståhlberg elected as its first president in 1919. The Finnish–Russian border was determined by the Treaty of Tartu in 1920, largely following the historic border but granting Pechenga (Finnish: Petsamo) and its Barents Sea harbour to Finland. Finnish democracy did not see any Soviet coup attempts and survived the anti-Communist Lapua Movement. The relationship between Finland and the Soviet Union was tense. Army officers were trained in France, and relations with Western Europe and Sweden were strengthened. In 1917, the population was 3 million. Credit-based land reform was enacted after the civil war, increasing the proportion of capital-owning population. About 70% of workers were occupied in agriculture and 10% in industry. The largest export markets were the United Kingdom and Germany. Finland fought the Soviet Union in the Winter War of 1939–1940 after the Soviet Union attacked Finland and in the Continuation War of 1941–1944, following Operation Barbarossa, when Finland aligned with Germany following Germany's invasion of the Soviet Union. For 872 days, the German army, aided indirectly by Finnish forces, besieged Leningrad, the USSR's second-largest city. After resisting a major Soviet offensive in June/July 1944 led to a standstill, Finland reached an armistice with the Soviet Union. This was followed by the Lapland War of 1944–1945, when Finland fought retreating German forces in northern Finland. The treaties signed in 1947 and 1948 with the Soviet Union included Finnish obligations, restraints, and reparations—as well as further Finnish territorial concessions in addition to those in the Moscow Peace Treaty of 1940. As a result of the two wars, Finland ceded most of Finnish Karelia, Salla, and Petsamo, which amounted to 10% of its land area and 20% of its industrial capacity, including the ports of Vyborg (Viipuri) and the ice-free Liinakhamari (Liinahamari). Almost the whole population, some 400,000 people, fled these areas. The former Finnish territory now constitutes part of Russia's Republic of Karelia. Finland was never occupied by Soviet forces and it retained its independence, but at a loss of about 93,000 soldiers. Finland rejected Marshall aid, in apparent deference to Soviet desires. However, the United States provided secret development aid and helped the Social Democratic Party, in hopes of preserving Finland's independence. Establishing trade with the Western powers, such as the United Kingdom, and paying reparations to the Soviet Union produced a transformation of Finland from a primarily agrarian economy to an industrialised one. Valmet was founded to create materials for war reparations. After the reparations had been paid off, Finland continued to trade with the Soviet Union in the framework of bilateral trade. In 1950, 46% of Finnish workers worked in agriculture and a third lived in urban areas. The new jobs in manufacturing, services, and trade quickly attracted people to the towns. The average number of births per woman declined from a baby boom peak of 3.5 in 1947 to 1.5 in 1973. When baby-boomers entered the workforce, the economy did not generate jobs quickly enough, and hundreds of thousands emigrated to the more industrialized Sweden, with emigration peaking in 1969 and 1970. The 1952 Summer Olympics brought international visitors. Finland took part in trade liberalization in the World Bank, the International Monetary Fund and the General Agreement on Tariffs and Trade. Officially claiming to be neutral, Finland lay in the grey zone between the Western countries and the Soviet Union. The YYA Treaty (Finno-Soviet Pact of Friendship, Cooperation and Mutual Assistance) gave the Soviet Union some leverage in Finnish domestic politics. This was extensively exploited by president Urho Kekkonen against his opponents. He maintained an effective monopoly on Soviet relations from 1956 on, which was crucial for his continued popularity. In politics, there was a tendency of avoiding any policies and statements that could be interpreted as anti-Soviet. This phenomenon was given the name "Finlandization" by the West German press. Despite close relations with the Soviet Union, Finland maintained a market economy. Various industries benefited from trade privileges with the Soviets, which explains the widespread support that pro-Soviet policies enjoyed among business interests in Finland. Economic growth was rapid in the postwar era, and by 1975 Finland's GDP per capita was the 15th-highest in the world. In the 1970s and 80s, Finland built one of the most extensive welfare states in the world. Finland negotiated with the European Economic Community (EEC, a predecessor of the European Union) a treaty that mostly abolished customs duties towards the EEC starting from 1977, although Finland did not fully join. In 1981, President Urho Kekkonen's failing health forced him to retire after holding office for 25 years. Finland reacted cautiously to the collapse of the Soviet Union, but swiftly began increasing integration with the West. On 21 September 1990, Finland unilaterally declared the Paris Peace Treaty obsolete, following the German reunification decision nine days earlier. Miscalculated macroeconomic decisions, a banking crisis, the collapse of its largest trading partner (the Soviet Union), and a global economic downturn caused a deep early 1990s recession in Finland. The depression bottomed out in 1993, and Finland saw steady economic growth for more than ten years. Uusitalo, Hannu (October 1996), Economic Crisis and Social Policy in Finland in the 1990s (PDF), SPRC Discussion Paper No. 70, ISSN 1037-2741 Like other Nordic countries, Finland decentralised its economy since the late 1980s. Financial and product market regulation were loosened. Some state enterprises have been privatized and there have been some modest tax cuts. Finland joined the European Union in 1995, and the Eurozone in 1999. Much of the late 1990s economic growth was fueled by the success of the mobile phone manufacturer Nokia, which held a unique position of representing 80% of the market capitalization of the Helsinki Stock Exchange. Lying approximately between latitudes 60° and 70° N, and longitudes 20° and 32° E, Finland is one of the world's northernmost countries. Of world capitals, only Reykjavík lies more to the north than Helsinki. The distance from the southernmost point – Hanko in Uusimaa – to the northernmost – Nuorgam in Lapland – is 1,160 kilometres (720 mi). Phytogeographically, Finland is shared between the Arctic, central European, and northern European provinces of the Circumboreal Region within the Boreal Kingdom. According to the WWF, the territory of Finland can be subdivided into three ecoregions: the Scandinavian and Russian taiga, Sarmatic mixed forests, and Scandinavian Montane Birch forest and grasslands. Taiga covers most of Finland from northern regions of southern provinces to the north of Lapland. On the southwestern coast, south of the Helsinki-Rauma line, forests are characterized by mixed forests, that are more typical in the Baltic region. In the extreme north of Finland, near the tree line and Arctic Ocean, Montane Birch forests are common. Similarly, Finland has a diverse and extensive range of fauna. There are at least sixty native mammalian species, 248 breeding bird species, over 70 fish species, and 11 reptile and frog species present today, many migrating from neighboring countries thousands of years ago. Large and widely recognized wildlife mammals found in Finland are the brown bear (the national animal), gray wolf, wolverine, and elk. Three of the more striking birds are the whooper swan, a large European swan and the national bird of Finland; the Western capercaillie, a large, black-plumaged member of the grouse family; and the Eurasian eagle-owl. The latter is considered an indicator of old-growth forest connectivity, and has been declining because of landscape fragmentation. The most common breeding birds are the willow warbler, common chaffinch, and redwing. Of some seventy species of freshwater fish, the northern pike, perch, and others are plentiful. Atlantic salmon remains the favourite of fly rod enthusiasts. The endangered Saimaa ringed seal, one of only three lake seal species in the world, exists only in the Saimaa lake system of southeastern Finland, down to only 390 seals today. It has become the emblem of the Finnish Association for Nature Conservation. The main factor influencing Finland's climate is the country's geographical position between the 60th and 70th northern parallels in the Eurasian continent's coastal zone. In the Köppen climate classification, the whole of Finland lies in the boreal zone, characterized by warm summers and freezing winters. Within the country, the temperateness varies considerably between the southern coastal regions and the extreme north, showing characteristics of both a maritime and a continental climate. Finland is near enough to the Atlantic Ocean to be continuously warmed by the Gulf Stream. The Gulf Stream combines with the moderating effects of the Baltic Sea and numerous inland lakes to explain the unusually warm climate compared with other regions that share the same latitude, such as Alaska, Siberia, and southern Greenland. Winters in southern Finland (when mean daily temperature remains below 0 °C or 32 °F) are usually about 100 days long, and in the inland the snow typically covers the land from about late November to April, and on the coastal areas such as Helsinki, snow often covers the land from late December to late March. Even in the south, the harshest winter nights can see the temperatures fall to −30 °C (−22 °F) although on coastal areas like Helsinki, temperatures below −30 °C (−22 °F) are rare. Climatic summers (when mean daily temperature remains above 10 °C or 50 °F) in southern Finland last from about late May to mid-September, and in the inland, the warmest days of July can reach over 35 °C (95 °F). Although most of Finland lies on the taiga belt, the southernmost coastal regions are sometimes classified as hemiboreal. A quarter of Finland's territory lies within the Arctic Circle and the midnight sun can be experienced for more days the farther north one travels. At Finland's northernmost point, the sun does not set for 73 consecutive days during summer, and does not rise at all for 51 days during winter. Finland consists of 19 regions, called maakunta in Finnish and landskap in Swedish. The regions are governed by regional councils which serve as forums of cooperation for the municipalities of a region. The main tasks of the regions are regional planning and development of enterprise and education. In addition, the public health services are usually organized on the basis of regions. Currently, the only region where a popular election is held for the council is Kainuu. Other regional councils are elected by municipal councils, each municipality sending representatives in proportion to its population. In addition to inter-municipal cooperation, which is the responsibility of regional councils, each region has a state Employment and Economic Development Centre which is responsible for the local administration of labour, agriculture, fisheries, forestry, and entrepreneurial affairs. The Finnish Defence Forces regional offices are responsible for the regional defence preparations and for the administration of conscription within the region. Regions represent dialectal, cultural, and economic variations better than the former provinces, which were purely administrative divisions of the central government. Historically, regions are divisions of historical provinces of Finland, areas which represent dialects and culture more accurately. Six Regional State Administrative Agencies were created by the state of Finland in 2010, each of them responsible for one of the regions called alue in Finnish and region in Swedish; in addition, Åland was designated a seventh region. These take over some of the tasks of the earlier Provinces of Finland (lääni/län), which were abolished. The region of Eastern Uusimaa (Itä-Uusimaa) was consolidated with Uusimaa on 1 January 2011. The fundamental administrative divisions of the country are the municipalities, which may also call themselves towns or cities. They account for half of public spending. Spending is financed by municipal income tax, state subsidies, and other revenue. As of 2017, there are 311 municipalities, and most have fewer than 6,000 residents. In addition to municipalities, two intermediate levels are defined. Municipalities co-operate in seventy sub-regions and nineteen regions. These are governed by the member municipalities and have only limited powers. The autonomous province of Åland has a permanent democratically elected regional council. Sami people have a semi-autonomous Sami native region in Lapland for issues on language and culture. In the following chart, the number of inhabitants includes those living in the entire municipality (kunta/kommun), not just in the built-up area. The land area is given in km², and the density in inhabitants per km² (land area). The figures are as of 31 January 2019. The capital region – comprising Helsinki, Vantaa, Espoo and Kauniainen – forms a continuous conurbation of over 1.1 million people. However, common administration is limited to voluntary cooperation of all municipalities, e.g. in Helsinki Metropolitan Area Council. The Constitution of Finland defines the political system; Finland is a parliamentary republic within the framework of a representative democracy. The Prime Minister is the country's most powerful person. The current version of the constitution was enacted on 1 March 2000, and was amended on 1 March 2012. Citizens can run and vote in parliamentary, municipal, presidential and European Union elections. The head of state of Finland is President of the Republic of Finland (in Finnish: Suomen tasavallan presidentti; in Swedish: Republiken Finlands president). Finland has had for most of its independence a semi-presidential system, but in the last few decades the powers of the President have been diminished. In constitution amendments, which came into effect in 1991 or 1992 and also with a new drafted constitution of 2000, amended in 2012, the President's position has become primarily a ceremonial office. However, the President still leads the nation's foreign politics together with the Council of State and is the commander-in-chief of the Defence Forces. The position still does entail some powers, including responsibility for foreign policy (excluding affairs related to the European Union) in cooperation with the cabinet, being the head of the armed forces, some decree and pardoning powers, and some appointive powers. Direct, one- or two-stage elections are used to elect the president for a term of six years and for a maximum of two consecutive terms. The current president is Sauli Niinistö; he took office on 1 March 2012. Former presidents were K. J. Ståhlberg (1919–1925), L. K. Relander (1925–1931), P. E. Svinhufvud (1931–1937), Kyösti Kallio (1937–1940), Risto Ryti (1940–1944), C. G. E. Mannerheim (1944–1946), J. K. Paasikivi (1946–1956), Urho Kekkonen (1956–1982), Mauno Koivisto (1982–1994), Martti Ahtisaari (1994–2000), and Tarja Halonen (2000–2012). The current president was elected from the ranks of the National Coalition Party for the first time since 1946. The presidency between 1946 and the present was instead held by a member of the Social Democratic Party or the Centre Party. The 200-member unicameral Parliament of Finland (Finnish: Eduskunta, Swedish: Riksdag) exercises supreme legislative authority in the country. It may alter the constitution and ordinary laws, dismiss the cabinet, and override presidential vetoes. Its acts are not subject to judicial review; the constitutionality of new laws is assessed by the parliament's constitutional law committee. The parliament is elected for a term of four years using the proportional D'Hondt method within a number of multi-seat constituencies through the most open list multi-member districts. Various parliament committees listen to experts and prepare legislation. The speaker of the parliament is Paula Risikko (National Coalition). Since universal suffrage was introduced in 1906, the parliament has been dominated by the Centre Party (former Agrarian Union), the National Coalition Party, and the Social Democrats. These parties have enjoyed approximately equal support, and their combined vote has totalled about 65–80% of all votes. Their lowest common total of MPs, 121, was reached in the 2011 elections. For a few decades after 1944, the Communists were a strong fourth party. Due to the electoral system of proportional representation, and the relative reluctance of voters to switch their support between parties, the relative strengths of the parties have commonly varied only slightly from one election to another. However, there have been some long-term trends, such as the rise and fall of the Communists during the Cold War; the steady decline into insignificance of the Liberals and its predecessors from 1906 to 1980; and the rise of the Green League since 1983. In the 2011 elections, the Finns Party achieved exceptional success, increasing its representation from 5 to 39 seats, surpassing the Centre Party. The Parliament can be dissolved by a recommendation of the Prime Minister, endorsed by the President. This procedure has never been used, although the parliament was dissolved eight times under the pre-2000 constitution, when this action was the sole prerogative of the president. The cabinet exercises most executive powers, and originates most of the bills that the parliament then debates and votes on. It is headed by the Prime Minister of Finland, and consists of him or her, of other ministers, and of the Chancellor of Justice. The current prime minister is Juha Sipilä (Centre Party). Each minister heads his or her ministry, or, in some cases, has responsibility for a subset of a ministry's policy. After the prime minister, the most powerful minister is the minister of finance. The incumbent Minister of Finance is Petteri Orpo. Around 92% of residents have confidence in Finland's security institutions. The overall crime rate of Finland is not high in the EU context. 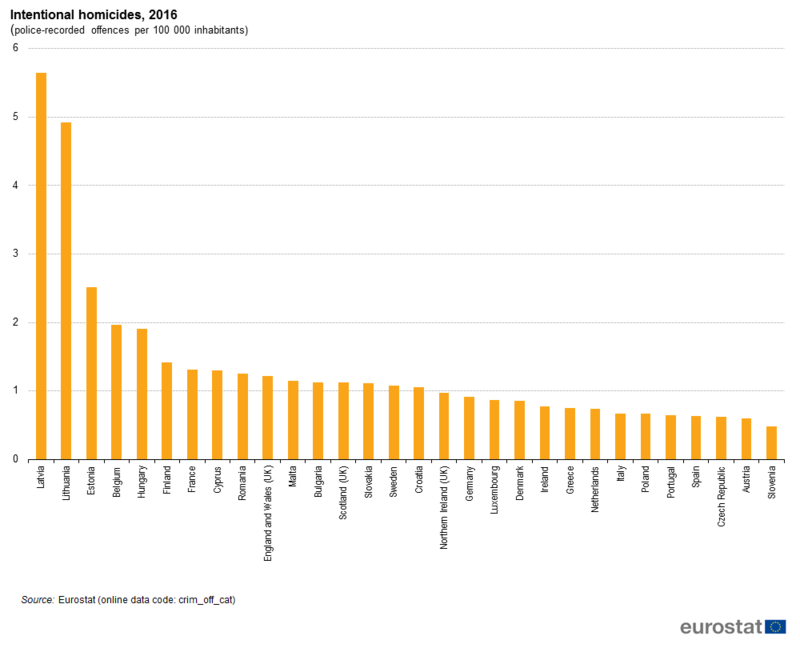 Some crime types are above average, notably the high homicide rate for Western Europe. A day fine system is in effect and also applied to offenses such as speeding. Finland has successfully fought against government corruption, which was more common in the 1970s and 80s. For instance, economic reforms and EU membership introduced stricter requirements for open bidding and many public monopolies were abolished. Today, Finland has a very low number of corruption charges; Transparency International ranks Finland as one of the least corrupt countries in Europe. In 2008, Transparency International criticized the lack of transparency of the system of Finnish political finance. According to GRECO in 2007, corruption should be taken into account in the Finnish system of election funds better. A scandal revolving around campaign finance of the 2007 parliamentary elections broke out in spring 2008. Nine Ministers of Government submitted incomplete funding reports and even more of the members of parliament. The law includes no punishment of false funds reports of the elected politicians. In 2008, president Martti Ahtisaari was awarded the Nobel Peace Prize. Finland was considered a cooperative model state, and Finland did not oppose proposals for a common EU defence policy. This was reversed in the 2000s, when Tarja Halonen and Erkki Tuomioja made Finland's official policy to resist other EU members' plans for common defence. Finland has one of the world's most extensive welfare systems, one that guarantees decent living conditions for all residents: Finns, and non-citizens. Since the 1980s the social security has been cut back, but still the system is one of the most comprehensive in the world. Created almost entirely during the first three decades after World War II, the social security system was an outgrowth of the traditional Nordic belief that the state was not inherently hostile to the well-being of its citizens, but could intervene benevolently on their behalf. According to some social historians, the basis of this belief was a relatively benign history that had allowed the gradual emergence of a free and independent peasantry in the Nordic countries and had curtailed the dominance of the nobility and the subsequent formation of a powerful right wing. Finland's history has been harsher than the histories of the other Nordic countries, but not harsh enough to bar the country from following their path of social development. The Finnish Defence Forces consist of a cadre of professional soldiers (mainly officers and technical personnel), currently serving conscripts, and a large reserve. The standard readiness strength is 34,700 people in uniform, of which 25% are professional soldiers. A universal male conscription is in place, under which all male Finnish nationals above 18 years of age serve for 6 to 12 months of armed service or 12 months of civilian (non-armed) service. Voluntary post-conscription overseas peacekeeping service is popular, and troops serve around the world in UN, NATO, and EU missions. Approximately 500 women choose voluntary military service every year. Women are allowed to serve in all combat arms including front-line infantry and special forces. The army consists of a highly mobile field army backed up by local defence units. The army defends the national territory and its military strategy employs the use of the heavily forested terrain and numerous lakes to wear down an aggressor, instead of attempting to hold the attacking army on the frontier. Finnish defence expenditure per capita is one of the highest in the European Union. The Finnish military doctrine is based on the concept of total defence. The term total means that all sectors of the government and economy are involved in the defence planning. The armed forces are under the command of the Chief of Defence (currently General Jarmo Lindberg), who is directly subordinate to the president in matters related to military command. The branches of the military are the army, the navy, and the air force. The border guard is under the Ministry of the Interior but can be incorporated into the Defence Forces when required for defence readiness. Even while Finland hasn't joined the North Atlantic Treaty Organization, the country has joined the NATO Response Force, the EU Battlegroup, the NATO Partnership for Peace and in 2014 signed a NATO memorandum of understanding, thus forming a practical coalition. In 2015, the Finland-NATO ties were strengthened with a host nation support agreement allowing assistance from NATO troops in emergency situations. Finland has been an active participant in the Afghanistan and Kosovo. Recently Finland has been more eager to discuss about its current and planned roles in Syria, Iraq and war against ISIL. On 21 December 2012 Finnish military officer Atte Kaleva was reported to have been kidnapped and later released in Yemen for ransom. At first he was reported be a casual Arabic student, however only later it was published that his studies were about jihadists, terrorism, and that he was employed by the military. As response to French request for solidarity, Finnish defence minister commented in November that Finland could and is willing to offer intelligence support. In May 2015, Finnish Military sent nearly one million letters to all relevant males in the country, informing them about their roles in the war effort. It was globally speculated that Finland was preparing for war—however Finland claimed that this was a standard procedure, yet something never done before in Finnish history. Mr Hypponen however said that this is not an isolated case, but bound to the European security dilemma. The NATO Memorandum of Understanding signed earlier bestows an obligation e.g. to report on internal capabilities and the availability thereof to NATO. The economy of Finland has a per capita output equal to that of other European economies such as those of France, Germany, Belgium, or the UK. The largest sector of the economy is the service sector at 66% of GDP, followed by manufacturing and refining at 31%. Primary production represents 2.9%. With respect to foreign trade, the key economic sector is manufacturing. The largest industries in 2007 were electronics (22%); machinery, vehicles, and other engineered metal products (21.1%); forest industry (13%); and chemicals (11%). The gross domestic product peaked in 2008. As of 2015, the country's economy is at the 2006 level. Finland has significant timber, mineral (iron, chromium, copper, nickel, and gold), and freshwater resources. Forestry, paper factories, and the agricultural sector (on which taxpayers spend around 3 billion euros annually) are important for rural residents so any policy changes affecting these sectors are politically sensitive for politicians dependent on rural votes. The Greater Helsinki area generates around one third of Finland's GDP. In a 2004 OECD comparison, high-technology manufacturing in Finland ranked second largest after Ireland. Knowledge-intensive services have also resulted in the smallest and slow-growth sectors – especially agriculture and low-technology manufacturing – being ranked the second largest after Ireland. The overall short-term outlook was good and GDP growth has been above that of many EU peers. Finland is highly integrated into the global economy, and international trade produces one third of GDP. Trade with the European Union makes up 60% of Finland's total trade. The largest trade flows are with Germany, Russia, Sweden, the United Kingdom, the United States, the Netherlands, and China. Trade policy is managed by the European Union, where Finland has traditionally been among the free trade supporters, except for agricultural policy. Finland is the only Nordic country to have joined the Eurozone. Finland's climate and soils make growing crops a particular challenge. The country lies between the latitudes 60°N and 70°N, and it has severe winters and relatively short growing seasons that are sometimes interrupted by frost. However, because the Gulf Stream and the North Atlantic Drift Current moderate the climate, Finland contains half of the world's arable land north of 60° north latitude. Annual precipitation is usually sufficient, but it occurs almost exclusively during the winter months, making summer droughts a constant threat. In response to the climate, farmers have relied on quick-ripening and frost-resistant varieties of crops, and they have cultivated south-facing slopes as well as richer bottomlands to ensure production even in years with summer frosts. Most farmland was originally either forest or swamp, and the soil has usually required treatment with lime and years of cultivation to neutralize excess acid and to improve fertility. Irrigation has generally not been necessary, but drainage systems are often needed to remove excess water. Finland's agriculture has been efficient and productive—at least when compared with farming in other European countries. Forests play a key role in the country's economy, making it one of the world's leading wood producers and providing raw materials at competitive prices for the crucial wood-processing industries. As in agriculture, the government has long played a leading role in forestry, regulating tree cutting, sponsoring technical improvements, and establishing long-term plans to ensure that the country's forests continue to supply the wood-processing industries. To maintain the country's comparative advantage in forest products, Finnish authorities moved to raise lumber output toward the country's ecological limits. In 1984, the government published the Forest 2000 plan, drawn up by the Ministry of Agriculture and Forestry. The plan aimed at increasing forest harvests by about 3% per year, while conserving forestland for recreation and other uses. Private sector employees amount to 1.8 million, out of which around a third with tertiary education. The average cost of a private sector employee per hour was 25.1 euro in 2004. As of 2008, average purchasing power-adjusted income levels are similar to those of Italy, Sweden, Germany, and France. In 2006, 62% of the workforce worked for enterprises with less than 250 employees and they accounted for 49% of total business turnover and had the strongest rate of growth. The female employment rate is high. Gender segregation between male-dominated professions and female-dominated professions is higher than in the US. The proportion of part-time workers was one of the lowest in OECD in 1999. In 2013, the 10 largest private sector employers in Finland were Itella, Nokia, OP-Pohjola, ISS, VR, Kesko, UPM-Kymmene, YIT, Metso, and Nordea. The unemployment rate was 9.4% in 2015, having risen from 8.7% in 2014. Youth unemployment rate rose from 16.5% in 2007 to 20.5% in 2014. A fifth of residents are outside the job market at the age of 50 and less than a third are working at the age of 61. As of today, nearly one million people are living with minimal wages or unemployed not enough to cover their costs of living. As of 2006, 2.4 million households reside in Finland. The average size is 2.1 persons; 40% of households consist of a single person, 32% two persons and 28% three or more persons. Residential buildings total 1.2 million, and the average residential space is 38 square metres (410 sq ft) per person. The average residential property without land costs 1,187 euro per sq metre and residential land 8.6 euro per sq metre. 74% of households had a car. There are 2.5 million cars and 0.4 million other vehicles. Around 92% have a mobile phone and 83.5% (2009) Internet connection at home. The average total household consumption was 20,000 euro, out of which housing consisted of about 5,500 euro, transport about 3,000 euro, food and beverages excluding alcoholic beverages at around 2,500 euro, and recreation and culture at around 2,000 euro. According to Invest in Finland, private consumption grew by 3% in 2006 and consumer trends included durables, high quality products, and spending on well-being. In 2017, Finland's GDP reached EUR 224billion. However, second quarter of 2018 saw a slow economic growth. Unemployment rate fell to a near one-decade low in June, marking private consumption growth much higher. Finland has the highest concentration of cooperatives relative to its population. The largest retailer, which is also the largest private employer, S-Group, and the largest bank, OP-Group in the country are both cooperatives. The free and largely privately owned financial and physical Nordic energy markets traded in NASDAQ OMX Commodities Europe and Nord Pool Spot exchanges, have provided competitive prices compared with other EU countries. As of 2007, Finland has roughly the lowest industrial electricity prices in the EU-15 (equal to France). In 2006, the energy market was around 90 terawatt hours and the peak demand around 15 gigawatts in winter. This means that the energy consumption per capita is around 7.2 tons of oil equivalent per year. Industry and construction consumed 51% of total consumption, a relatively high figure reflecting Finland's industries. Finland's hydrocarbon resources are limited to peat and wood. About 10–15% of the electricity is produced by hydropower, which is low compared with more mountainous Sweden or Norway. In 2008, renewable energy (mainly hydropower and various forms of wood energy) was high at 31% compared with the EU average of 10.3% in final energy consumption. Finland has four privately owned nuclear reactors producing 18% of the country's energy and one research reactor at the Otaniemi campus. The fifth AREVA-Siemens-built reactor – the world's largest at 1600 MWe and a focal point of Europe's nuclear industry – has faced many delays and is currently scheduled to be operational by 2018–2020, a decade after the original planned opening. A varying amount (5–17%) of electricity has been imported from Russia (at around 3 gigawatt power line capacity), Sweden and Norway. Energy companies are about to increase nuclear power production, as in July 2010 the Finnish parliament granted permits for additional two new reactors. The state-owned VR operates a railway network serving all major cities. The main international passenger gateway is Helsinki Airport with about 17 million passengers in 2016. Oulu Airport is the second largest, whilst another 25 airports have scheduled passenger services. The Helsinki Airport-based Finnair, Blue1, and Nordic Regional Airlines, Norwegian Air Shuttle sell air services both domestically and internationally. Helsinki has an optimal location for great circle (i.e. the shortest and most efficient) routes between Western Europe and the Far East. Despite low population density, the Government spends annually around 350 million euro in maintaining 5,865 kilometres (3,644 mi) of railway tracks. Rail transport is handled by state owned VR, which has 5% passenger market share (out of which 80% are urban trips in Greater Helsinki) and 25% cargo market share. Since 12 December 2010, Karelian Trains, a joint venture between Russian Railways and VR (Finnish Railways), has been running Alstom Pendolino operated high-speed services between Saint Petersburg's Finlyandsky and Helsinki's Central railway stations. These services are branded as "Allegro" trains. The journey from Helsinki to Saint Petersburg takes only three and a half hours. The majority of international cargo utilizes ports. Port logistics prices are low. Vuosaari Harbour in Helsinki is the largest container port after completion in 2008 and others include Kotka, Hamina, Hanko, Pori, Rauma, and Oulu. There is passenger traffic from Helsinki and Turku, which have ferry connections to Tallinn, Mariehamn, Stockholm and Travemünde. The Helsinki-Tallinn route, one of the busiest passenger sea routes in the world, has also been served by a helicopter line. Finland was rapidly industrialized after World War II, achieving GDP per capita levels equal to that of Japan or the UK in the beginning of the 1970s. Initially, most development was based on two broad groups of export-led industries, the "metal industry" (metalliteollisuus) and "forest industry" (metsäteollisuus). The "metal industry" includes shipbuilding, metalworking, the car industry, engineered products such as motors and electronics, and production of metals (steel, copper and chromium). The world's biggest cruise ships are built in Finnish shipyards. The "forest industry" includes forestry, timber, pulp and paper, and is a logical development based on Finland's extensive forest resources (77% of the area is covered by forest, most of it in renewable use). In the pulp and paper industry, many of the largest companies are based in Finland (Ahlstrom, Metsä Board, and UPM). However, the Finnish economy has diversified, with expansion into fields such as electronics (e.g. Nokia), metrology (Vaisala), transport fuels (Neste), chemicals (Kemira), engineering consulting (Pöyry), and information technology (e.g. Rovio Entertainment, known for Angry Birds), and is no longer dominated by the two sectors of metal and forest industry. Likewise, the structure has changed, with the service sector growing, with manufacturing reducing in importance; agriculture is only a minor part. Despite this, production for export is still more prominent than in Western Europe, thus making Finland more vulnerable to global economic trends. In an Economist Intelligence Unit report released in September 2011, Finland clinched the second place after the United States on Benchmarking IT Industry Competitiveness 2011 which scored on 6 key indicators: overall business environment, technology infrastructure, human capital, legal framework, public support for industry development, and research and development landscape. The 2007 IMD World Competitiveness Yearbook ranked Finland 17th most competitive. The World Economic Forum 2008 index ranked Finland the 6th most competitive. In both indicators, Finland's performance was next to Germany, and significantly higher than most European countries. In the Business competitiveness index 2007–2008 Finland ranked third in the world. Economists attribute much growth to reforms in the product markets. According to the OECD, only four EU-15 countries have less regulated product markets (UK, Ireland, Denmark and Sweden) and only one has less regulated financial markets (Denmark). Nordic countries were pioneers in liberalizing energy, postal, and other markets in Europe. The legal system is clear and business bureaucracy less than most countries. Property rights are well protected and contractual agreements are strictly honoured. Finland is rated the least corrupt country in the world in the Corruption Perceptions Index and 13th in the Ease of doing business index. This indicates exceptional ease in cross-border trading (5th), contract enforcement (7th), business closure (5th), tax payment (83rd), and low worker hardship (127th). In 2005, Finnish tourism grossed over €6.7 billion with a 5% increase from the previous year. Much of the sudden growth can be attributed to the globalisation and modernisation of the country as well as a rise in positive publicity and awareness. There are many attractions in Finland which attracted over 8 million visitors in 2013. The Finnish landscape is covered with thick pine forests and rolling hills, and complemented with a labyrinth of lakes and inlets. Much of Finland is pristine and virgin as it contains 40 national parks from the Southern shores of the Gulf of Finland to the high fells of Lapland. Finland also has urbanised regions with many cultural events and activities. Commercial cruises between major coastal and port cities in the Baltic region, including Helsinki, Turku, Tallinn, Stockholm, and Travemünde, play a significant role in the local tourism industry. Finland is locally regarded as the home of Saint Nicholas or Santa Claus, living in the northern Lapland region. Above the Arctic Circle, in midwinter, there is a polar night, a period when the sun does not rise for days or weeks, or even months, and correspondingly, midnight sun in the summer, with no sunset even at midnight (for up to 73 consecutive days, at the northernmost point). Lapland is so far north that the Aurora Borealis, fluorescence in the high atmosphere due to solar wind, is seen regularly in the fall, winter, and spring. Outdoor activities range from Nordic skiing, golf, fishing, yachting, lake cruises, hiking, and kayaking, among many others. Wildlife is abundant in Finland. Bird-watching is popular for those fond of avifauna, however hunting is also popular. Elk and hare are common game in Finland. Olavinlinna in Savonlinna hosts the annual Savonlinna Opera Festival. The population of Finland is currently about 5.5 million inhabitants and is aging with the birth rate at 10.42 births per 1,000 population per year, or a fertility rate of 1.8 with a median age of 42.7 years. Approximately half of voters are estimated to be over 50 years old. Finland has an average population density of 18 inhabitants per square kilometre. This is the third-lowest population density of any European country, behind those of Norway and Iceland, and the lowest population density in the EU. Finland's population has always been concentrated in the southern parts of the country, a phenomenon that became even more pronounced during 20th-century urbanisation. Two of the three largest cities in Finland are situated in the Greater Helsinki metropolitan area—Helsinki and Espoo. Tampere holds the third place while also Helsinki-neighbouring Vantaa is the fourth. Other cities with population over 100,000 are Turku, Oulu, Jyväskylä, Kuopio, and Lahti. As of 2017, there were 384,123 people with a foreign background living in Finland (7% of the population), most of whom are from Russia, Estonia, Somalia, Iraq and Yugoslavia. The children of foreigners are not automatically given Finnish citizenship, as Finnish nationality law practices and maintain jus sanguinis policy where only children born to at least one Finnish parent are granted citizenship. If they are born in Finland and cannot get citizenship of any other country, they become citizens. Additionally, certain persons of Finnish descent who reside in countries that were once part of Soviet Union, retain the right of return, a right to establish permanent residency in the country, which would eventually entitle them to qualify for citizenship. 387,215 people in Finland in 2018 were born in another country, representing 7% of the population. The 10 largest foreign born groups are (in order) from Russia, Estonia, Sweden, Iraq, Somalia, China, Thailand, Serbia, Vietnam and Turkey. Finnish and Swedish are the official languages of Finland. Finnish predominates nationwide while Swedish is spoken in some coastal areas in the west and south and in the autonomous region of Åland. The native language of 89% of the population is Finnish, which is part of the Finnic subgroup of the Uralic languages. The language is one of only four official EU languages not of Indo-European origin. Finnish is closely related to Karelian and Estonian and more remotely to the Sami languages and Hungarian. Swedish is the native language of 5.3% of the population (Swedish-speaking Finns). The Nordic languages and Karelian are also specially treated in some contexts. Finnish Romani is spoken by some 5,000–6,000 people; it and Finnish Sign Language are also recognized in the constitution. There are two sign languages: Finnish Sign Language, spoken natively by 4,000–5,000 people, and Finland-Swedish Sign Language, spoken natively by about 150 people. Tatar language is spoken by a Finnish Tatar minority of about 800 people who moved to Finland mainly during the Russian rule from the 1870s until the 1920s. The rights of minority groups (in particular Sami, Swedish speakers, and Romani people) are protected by the constitution. The largest immigrant languages are Russian (1.4%), Estonian (0.9%), Arabic (0.5%), Somali (0.4%) and English (0.4%). English is studied by most pupils as a compulsory subject from the third grade (at nine years of age) in the comprehensive school (in some schools other languages can be chosen instead). German, French, Spanish and Russian can be studied as second foreign languages from the fourth grade (at 10 years of age; some schools may offer other options). 93% of Finns can speak a second language. The figures in this section should be treated with caution, as they come from the official Finnish population register. People can only register one language and so bilingual or multilingual language users' language competencies are not properly included. A citizen of Finland that speaks bilingually Finnish and Swedish will often be registered as a Finnish only speaker in this system. Similarly "old domestic language" is a category applied to some languages and not others for political not linguistic reasons, for example Russian. With 3.9 million members, the Evangelical Lutheran Church of Finland is one of the largest Lutheran churches in the world and is also by far Finland's largest religious body; at the end of 2017, 70.9% of Finns were members of the church. The Evangelical Lutheran Church of Finland sees its share of the country's population declining by roughly one percent annually in recent years. The decline has been due to both church membership resignations and falling baptism rates. The second largest group, accounting for 26.3% of the population in 2017, has no religious affiliation. The irreligious group rose quickly from just below 13% in the year 2000. A small minority belongs to the Finnish Orthodox Church (1.1%). Other Protestant denominations and the Roman Catholic Church are significantly smaller, as are the Jewish and other non-Christian communities (totalling 1.6%). The Pew Research Center estimated the Muslim population at 2.7% in 2016. The main Lutheran and Orthodox churches are national churches of Finland with special roles such as in state ceremonies and schools. In 1869, Finland was the first Nordic country to disestablish its Evangelical Lutheran church by introducing the Church Act, followed by the Church of Sweden in 2000. Although the church still maintains a special relationship with the state, it is not described as a state religion in the Finnish Constitution or other laws passed by the Finnish Parliament. Finland's state church was the Church of Sweden until 1809. As an autonomous Grand Duchy under Russia 1809–1917, Finland retained the Lutheran State Church system, and a state church separate from Sweden, later named the Evangelical Lutheran Church of Finland, was established. It was detached from the state as a separate judicial entity when the new church law came to force in 1869. After Finland had gained independence in 1917, religious freedom was declared in the constitution of 1919 and a separate law on religious freedom in 1922. Through this arrangement, the Evangelical Lutheran Church of Finland lost its position as a state church but gained a constitutional status as a national church alongside the Finnish Orthodox Church, whose position however is not codified in the constitution. In 2016, 69.3% of Finnish children were baptized and 82.3% were confirmed in 2012 at the age of 15, and over 90% of the funerals are Christian. However, the majority of Lutherans attend church only for special occasions like Christmas ceremonies, weddings, and funerals. The Lutheran Church estimates that approximately 1.8% of its members attend church services weekly. The average number of church visits per year by church members is approximately two. According to a 2010 Eurobarometer poll, 33% of Finnish citizens responded that "they believe there is a God"; 42% answered that "they believe there is some sort of spirit or life force"; and 22% that "they do not believe there is any sort of spirit, God, or life force". According to ISSP survey data (2008), 8% consider themselves "highly religious", and 31% "moderately religious". In the same survey, 28% reported themselves as "agnostic" and 29% as "non-religious". Life expectancy has increased from 71 years for men and 79 years for women in 1990 to 79 years for men and 84 years for women in 2017. The under-five mortality rate has decreased from 51 per 1,000 live births in 1950 to 2.3 per 1,000 live births in 2017 ranking Finland's rate among the lowest in the world. The fertility rate in 2014 stood at 1.71 children born/per woman and has been below the replacement rate of 2.1 since 1969. With a low birth rate women also become mothers at a later age, the mean age at first live birth being 28.6 in 2014. A 2011 study published in The Lancet medical journal found that Finland had the lowest stillbirth rate out of 193 countries, including the UK, France and New Zealand. There has been a slight increase or no change in welfare and health inequalities between population groups in the 21st century. Lifestyle-related diseases are on the rise. More than half a million Finns suffer from diabetes, type 1 diabetes being globally the most common in Finland. Many children are diagnosed with type 2 diabetes. The number of musculoskeletal diseases and cancers are increasing, although the cancer prognosis has improved. Allergies and dementia are also growing health problems in Finland. One of the most common reasons for work disability are due to mental disorders, in particular depression. Treatment for depression has improved and as a result the historically high suicide rates have declined to 13 per 100 000 in 2017, closer to the North European average. In April 2012, Finland was ranked 2nd in Gross National Happiness in a report published by The Earth Institute. Since 2012, Finland has every time ranked at least in the top 5 of world's happiest countries in the annual World Happiness Report by the United Nations, as well as ranking as the happiest country in 2018. In tertiary education, two mostly separate and non-interoperating sectors are found: the profession-oriented polytechnics and the research-oriented universities. Education is free and living expenses are to a large extent financed by the government through student benefits. There are 15 universities and 24 Universities of Applied Sciences (UAS) in the country .. The University of Helsinki is ranked 75th in the Top University Ranking of 2010. The World Economic Forum ranks Finland's tertiary education No. 1 in the world. Around 33% of residents have a tertiary degree, similar to Nordics and more than in most other OECD countries except Canada (44%), United States (38%) and Japan (37%). The proportion of foreign students is 3% of all tertiary enrollments, one of the lowest in OECD, while in advanced programs it is 7.3%, still below OECD average 16.5%. More than 30% of tertiary graduates are in science-related fields. Forest improvement, materials research, environmental sciences, neural networks, low-temperature physics, brain research, biotechnology, genetic technology, and communications showcase fields of study where Finnish researchers have had a significant impact. Finland has a long tradition of adult education, and by the 1980s nearly one million Finns were receiving some kind of instruction each year. Forty percent of them did so for professional reasons. Adult education appeared in a number of forms, such as secondary evening schools, civic and workers' institutes, study centres, vocational course centres, and folk high schools. Study centres allowed groups to follow study plans of their own making, with educational and financial assistance provided by the state. Folk high schools are a distinctly Nordic institution. Originating in Denmark in the nineteenth century, folk high schools became common throughout the region. Adults of all ages could stay at them for several weeks and take courses in subjects that ranged from handicrafts to economics. In addition, 38 percent of Finland's population has a university or college degree, which is among the highest percentages in the world. In 2010 a new law was enacted considering the universities, which defined that there are 16 of them as they were excluded from the public sector to be autonomous legal and financial entities, however enjoying special status in the legislation. As result many former state institutions were driven to collect funding from private sector contributions and partnerships. The change caused deep rooted discussions among the academic circles. English language is important in Finnish education. There are a number of degree programs that are taught in English, which attracts thousands of degree and exchange students every year. In December 2017 the OECD reported that Finnish fathers spend an average of eight minutes a day more with their school-aged children than mothers do. Written Finnish could be said to have existed since Mikael Agricola translated the New Testament into Finnish during the Protestant Reformation, but few notable works of literature were written until the nineteenth century and the beginning of a Finnish national Romantic Movement. This prompted Elias Lönnrot to collect Finnish and Karelian folk poetry and arrange and publish them as the Kalevala, the Finnish national epic. The era saw a rise of poets and novelists who wrote in Finnish, notably Aleksis Kivi and Eino Leino. Many writers of the national awakening wrote in Swedish, such as the national poet Johan Ludvig Runeberg and Zachris Topelius. After Finland became independent, there was a rise of modernist writers, most famously the Finnish-speaking Mika Waltari and Swedish-speaking Edith Södergran. Frans Eemil Sillanpää was awarded the Nobel Prize in Literature in 1939. World War II prompted a return to more national interests in comparison to a more international line of thought, characterized by Väinö Linna. Besides Kalevala and Waltari, the Swedish-speaking Tove Jansson is the most translated Finnish writer. Popular modern writers include Arto Paasilinna, Ilkka Remes, Kari Hotakainen, Sofi Oksanen, and Jari Tervo, while the best novel is annually awarded the prestigious Finlandia Prize. The visual arts in Finland started to form their individual characteristics in the 19th century, when Romantic nationalism was rising in autonomic Finland. The best known of Finnish painters, Akseli Gallen-Kallela, started painting in a naturalist style, but moved to national romanticism. Finland's best-known sculptor of the twentieth century was Wäinö Aaltonen, remembered for his monumental busts and sculptures. Finns have made major contributions to handicrafts and industrial design: among the internationally renowned figures are Timo Sarpaneva, Tapio Wirkkala and Ilmari Tapiovaara. Finnish architecture is famous around the world, and has contributed significantly to several styles internationally, such as Jugendstil (or Art Nouveau), Nordic Classicism and Functionalism. Among the top twentieth-century Finnish architects to gain international recognition are Eliel Saarinen and his son Eero Saarinen. Architect Alvar Aalto is regarded as among the most important twentieth-century designers in the world; he helped bring functionalist architecture to Finland, but soon was a pioneer in its development towards an organic style. Aalto is also famous for his work in furniture, lamps, textiles and glassware, which were usually incorporated into his buildings. Much of Finland's classical music is influenced by traditional Karelian melodies and lyrics, as comprised in the Kalevala. Karelian culture is perceived as the purest expression of the Finnic myths and beliefs, less influenced by Germanic influence than the Nordic folk dance music that largely replaced the kalevaic tradition. Finnish folk music has undergone a roots revival in recent decades, and has become a part of popular music. The people of northern Finland, Sweden, and Norway, the Sami, are known primarily for highly spiritual songs called joik. The same word sometimes refers to lavlu or vuelie songs, though this is technically incorrect. The first Finnish opera was written by the German-born composer Fredrik Pacius in 1852. Pacius also wrote the music to the poem Maamme/Vårt land (Our Country), Finland's national anthem. In the 1890s Finnish nationalism based on the Kalevala spread, and Jean Sibelius became famous for his vocal symphony Kullervo. He soon received a grant to study runo singers in Karelia and continued his rise as the first prominent Finnish musician. In 1899 he composed Finlandia, which played its important role in Finland gaining independence. He remains one of Finland's most popular national figures and is a symbol of the nation. Today, Finland has a very lively classical music scene and many of Finland's important composers are still alive, such as Magnus Lindberg, Kaija Saariaho, Kalevi Aho, and Aulis Sallinen. The composers are accompanied by a large number of great conductors such as Esa-Pekka Salonen, Osmo Vänskä, Jukka-Pekka Saraste, and Leif Segerstam. Some of the internationally acclaimed Finnish classical musicians are Karita Mattila, Soile Isokoski, Pekka Kuusisto, Olli Mustonen, and Linda Lampenius. During the early 1960s, the first significant wave of Finnish rock groups emerged, playing instrumental rock inspired by groups such as The Shadows. Around 1964, Beatlemania arrived in Finland, resulting in further development of the local rock scene. During the late 1960s and 1970s, Finnish rock musicians increasingly wrote their own music instead of translating international hits into Finnish. During the decade, some progressive rock groups such as Tasavallan Presidentti and Wigwam gained respect abroad but failed to make a commercial breakthrough outside Finland. This was also the fate of the rock and roll group Hurriganes. The Finnish punk scene produced some internationally acknowledged names including Terveet Kädet in the 1980s. Hanoi Rocks was a pioneering 1980s glam rock act that inspired the American hard rock group Guns N' Roses, among others. Many Finnish metal bands have gained international recognition. HIM and Nightwish are some of Finland's most internationally known bands. HIM's 2005 album Dark Light went gold in the United States. Apocalyptica are an internationally famous Finnish group who are most renowned for mixing strings-led classical music with classic heavy metal. Other well-known metal bands are Amorphis, Children of Bodom, Ensiferum, Finntroll, Impaled Nazarene, Insomnium, Korpiklaani, Moonsorrow, Reverend Bizarre, Sentenced, Sonata Arctica, Stratovarius, Swallow the Sun, Turisas, Waltari, and Wintersun. After Finnish hard rock/heavy metal band Lordi won the 2006 Eurovision Song Contest, Finland hosted the competition in 2007. Alternative rock band Poets of the Fall, formed in 2003, have released eight studio albums and have toured widely. In the film industry, notable directors include Aki Kaurismäki, Mauritz Stiller, Spede Pasanen, and Hollywood film director and producer Renny Harlin. Around twelve feature films are made each year. Finland's most internationally successful TV shows are the backpacking travel documentary series Madventures and the reality TV show The Dudesons, about four childhood friends who perform stunts and play pranks on each other (in similar vein to the American TV show Jackass). Thanks to its emphasis on transparency and equal rights, Finland's press has been rated the freest in the world. Yle, the Finnish Broadcasting Company, operates five television channels and thirteen radio channels in both national languages. Yle is funded through a mandatory television license and fees for private broadcasters. All TV channels are broadcast digitally, both terrestrially and on cable. The commercial television channel MTV3 and commercial radio channel Radio Nova are owned by Nordic Broadcasting (Bonnier and Proventus Industrier). In regards to telecommunication infrastructure, Finland is the highest ranked country in the World Economic Forum's Network Readiness Index (NRI) – an indicator for determining the development level of a country's information and communication technologies. Finland ranked 1st overall in the 2014 NRI ranking, unchanged from the year before. This is shown in its penetration throughout the country's population. Around 79% of the population use the Internet. Finland had around 1.52 million broadband Internet connections by the end of June 2007 or around 287 per 1,000 inhabitants. All Finnish schools and public libraries have Internet connections and computers and most residents have a mobile phone. Value-added services are rare. In October 2009, Finland's Ministry of Transport and Communications committed to ensuring that every person in Finland would be able to access the Internet at a minimum speed of one megabit-per-second beginning July 2010. Finnish foods often use wholemeal products (rye, barley, oats) and berries (such as bilberries, lingonberries, cloudberries, and sea buckthorn). Milk and its derivatives like buttermilk are commonly used as food, drink, or in various recipes. Various turnips were common in traditional cooking, but were replaced with the potato after its introduction in the 18th century. Finland has the world's highest per capita consumption of coffee. It also has the highest per capita consumption of milk, at about 1 litre (0.22 imp gal; 0.26 US gal) per day, even though 17% of the Finns are lactose intolerant. All official holidays in Finland are established by Acts of Parliament. Christian holidays include Christmas, New Year's Day, Epiphany, Easter, Ascension Day, Pentecost, Midsummer Day (St. John's Day), and All Saints' Day, while secular holidays include May Day, Independence Day, New Year's Day, and Midsummer. Christmas is the most extensively celebrated, and at least 24 to 26 December is taken as a holiday. Various sporting events are popular in Finland. Pesäpallo, resembling baseball, is the national sport of Finland, although the most popular sports in terms of spectators is ice hockey. Ice Hockey World Championships 2016 final Finland-Canada, 69% of Finnish people watched that game on TV. Other popular sports include athletics, cross-country skiing, ski jumping, football, volleyball and basketball. While ice hockey is the most popular sports when it comes to attendance at games, association football is the most played team sport in terms of the number of players in the country and is also the most appreciated sport in Finland. In terms of medals and gold medals won per capita, Finland is the best performing country in Olympic history. Finland first participated as a nation in its own right at the Olympic Games in 1908, while still an autonomous Grand Duchy within the Russian Empire. At the 1912 Summer Olympics, great pride was taken in the three gold medals won by the original "Flying Finn" Hannes Kolehmainen. For over 100 years, Finnish male and female athletes have consistently excelled at the javelin throw. The event has brought Finland nine Olympic gold medals, five world championships, five European championships, and 24 world records. In addition to Kolehmainen and Nurmi, some of Finland's most internationally well-known and successful sportspeople are long-distance runners Ville Ritola and Lasse Virén; ski-jumpers Matti Nykänen and Janne Ahonen; cross-country skiers Veikko Hakulinen, Eero Mäntyranta, Marja-Liisa Kirvesniemi and Mika Myllylä; rower Pertti Karppinen; gymnast Heikki Savolainen; professional skateboarder Arto Saari; ice hockey players Kimmo Timonen, Jari Kurri, Teemu Selänne, and Saku Koivu; football players Jari Litmanen and Sami Hyypiä; basketball player Hanno Möttölä; alpine skiers Kalle Palander and Tanja Poutiainen; Formula One world champions Keke Rosberg, Mika Häkkinen and Kimi Räikkönen; four-time World Rally champions Juha Kankkunen and Tommi Mäkinen; and 13-time World Enduro Champion Juha Salminen, seven-time champion Kari Tiainen, and the five-time champions Mika Ahola, biathlete Kaisa Mäkäräinen and Samuli Aro. Finland is also one of the most successful nations in bandy, being the only nation beside Russia and Sweden to win a Bandy World Championship. Finland also has a notable history in figure skating. Finnish skaters have won 8 world championships and 13 junior world cups in synchronized skating, and Finland is considered one of the best countries at the sport. Some of the most popular recreational sports and activities include floorball, Nordic walking, running, cycling, and skiing (alpine skiing, cross-country skiing, and ski jumping). Floorball, in terms of registered players, occupies third place after football and ice hockey. According to the Finnish Floorball Federation, floorball is the most popular school, youth, club and workplace sport. As of 2016, the total number of licensed players reaches 57,400. Especially since the 2014 FIBA Basketball World Cup, Finland's national basketball team has received widespread public attention. More than 8,000 Finns travelled to Spain to support their team. Overall, they chartered more than 40 airplanes. The 2019 World Happiest Report ranked Finland as the World's happiest country for the second consecutive year. ^ "Republic of Finland", or Suomen tasavalta in Finnish, Republiken Finland in Swedish, and Suoma dásseváldi in Sami, is the long protocol name, which is however not defined by law. Legislation recognises only the short name. ^ The names for Finland in its Sami languages are: Suopma (Northern Sami), Suomâ (Inari Sami) and Lää'ddjânnam (Skolt Sami). See Geonames.de. ^ a b Formerly a semi-presidential republic, it is now a parliamentary republic according to David Arter, First Chair of Politics at Aberdeen University. In his "Scandinavian Politics Today" (Manchester University Press, revised 2008 ISBN 9780719078538), he quotes Nousiainen, Jaakko (June 2001). "From semi-presidentialism to parliamentary government: political and constitutional developments in Finland". Scandinavian Political Studies. 24 (2): 95–109. doi:10.1111/1467-9477.00048. as follows: "There are hardly any grounds for the epithet 'semi-presidential'." Arter's own conclusions are only slightly more nuanced: "The adoption of a new constitution on 1 March 2000 meant that Finland was no longer a case of semi-presidential government other than in the minimalist sense of a situation where a popularly elected fixed-term president exists alongside a prime minister and cabinet who are responsible to parliament (Elgie 2004: 317)". According to the Finnish Constitution, the president has no possibility to rule the government without the ministerial approval, and does not have the power to dissolve the parliament under his or her own desire. Finland is actually represented by its prime minister, and not by its president, in the Council of the Heads of State and Government of the European Union. The 2012 constitutional amendments reduced the powers of the president even further. ^ "Finland's preliminary population figure 5,517,887 at the end of July". Tilastokeskus.fi. Statistics Finland. Retrieved 26 October 2018. ^ a b c d "Report for Selected Countries and Subjects". IMF. 17 October 2018. ^ Tilastokeskus. "Population". www.tilastokeskus.fi. Retrieved 5 June 2018. ^ a b "Finland in Figures: Population" (in Finnish). Population Register Centre. 27 March 2014. Retrieved 1 April 2014. ^ a b "Kotisivu - Kuntaliiton Kunnat.net" (in Finnish). Suomen Kuntaliitto. Retrieved 6 May 2015. ^ a b Dr. Pirjo Uino of the National Board of Antiquities, ThisisFinland—"Prehistory: The ice recedes—man arrives". Retrieved 24 June 2008. ^ a b History of Finland and the Finnish People from stone age to WWII. Retrieved 24 June 2008. ^ a b Professor Frank Horn of the Northern Institute for Environmental and Minority Law University of Lappland writing for Virtual Finland on National Minorities of Finland. Retrieved 24 June 2008. ^ Parliament of Finland. "History of the Finnish Parliament". eduskunta.fi. Archived from the original on 6 December 2015. ^ Finland was the first nation in the world to give all (adult) citizens full suffrage, in other words the right to vote and to run for office, in 1906. New Zealand was the first country in the world to grant all (adult) citizens the right to vote, in 1893. But women did not get the right to run for the New Zealand legislature, until 1919. ^ "Finland". International Monetary Fund. Retrieved 17 April 2013. ^ "Finland: World Audit Democracy Profile". WorldAudit.org. Archived from the original on 30 October 2013. ^ "Tertiary education graduation rates—Education: Key Tables from OECD". OECD iLibrary. 14 June 2010. doi:10.1787/20755120-table1. Archived from the original on 30 April 2011. Retrieved 6 March 2011. ^ "Her er verdens mest konkurransedyktige land—Makro og politikk". E24.no. 9 September 2010. Archived from the original on 14 October 2010. Retrieved 6 March 2011. ^ "The 2009 Legatum Prosperity Index". Prosperity.com. Archived from the original on 29 October 2009. Retrieved 4 February 2010. ^ "Human Capital Report 2015". World Economic Forum. Retrieved 15 May 2015. ^ "Fragile States Index 2016". Fundforpeace.org. Archived from the original on 4 February 2017. Retrieved 27 November 2016. ^ Hetter, Katia (26 March 2019). "This is the world's happiest country in 2019". CNN. Retrieved 31 March 2019. ^ "National Archives Service, Finland (in English)". Retrieved 22 January 2007. ^ kotikielenseura.fi, SUOMI (TTAVIA ETYMOLOGIOITA). ^ "Annesl Regni Francorum". www.thelatinlibrary.com. Retrieved 29 July 2018. ^ Heikkilä, Mikko K. (2017). Keskiajan suomen kielen dokumentoitu sanasto ensiesiintymisvuosineen. Mediapinta. p. 44. ISBN 978-952-236-859-1. ^ Salo, Unto (2004). Suomen museo 2003: "The Origins of Finland and Häme". Helsinki: Suomen muinaismuistoyhdistys. p. 55. ISBN 978-951-9057-55-2. ^ Lindberg, Johan (26 May 2016). "Finlands historia: 1700-talet". Uppslagsverket Finland (in Swedish). Retrieved 30 November 2017. ^ Tarkiainen, Kari (2010). Ruotsin itämaa. Helsinki: Svenska litteratursällskapet i Finland. p. 88. ^ Compiled by Martti Linna (1989). Suomen varhaiskeskiajan lähteitä. Historian aitta. p. 69. ^ Tarkiainen, Kari (2010). Ruotsin itämaa. Helsinki: Svenska litteratursällskapet i Finland. pp. 104–147. ISBN 9789515832122. ^ Tarkiainen, Kari (2010). Ruotsin itämaa. Porvoo: Svenska litteratursällskapet i Finland. pp. 167–170. ISBN 9789515832122. ^ Kemiläinen, Aira (2004). Kansallinen identiteetti Ruotsissa ja Suomessa 1600-1700-luvuilla (in Finnish). Tieteessä tapahtuu 8/2004. pp. 25–26. ^ "History of Finland. Finland chronology". Europe-cities.com. Archived from the original on 27 April 2011. Retrieved 26 August 2010. ^ Nordstrom, Byron J. (2000). Scandinavia Since 1500. Minneapolis, US: University of Minnesota Press. p. 142. ISBN 978-0-8166-2098-2. ^ a b c Nordstrom, Byron J. (2000). Scandinavia Since 1500. Minneapolis, US: University of Minnesota Press. p. 143. ISBN 978-0-8166-2098-2. ^ "Pioneers in Karelia – Pekka Halonen – Google Arts & Culture". ^ a b c "Growth and Equity in Finland" (PDF). World Bank. ^ "A Country Study: Finland—The Finnish Civil War". Federal Research Division, Library of Congress. Retrieved 11 December 2008. ^ Finland 1917–2007 (20 February 2007). "From slash-and-burn fields to post-industrial society—90 years of change in industrial structure". Stat.fi. Retrieved 26 August 2010. ^ a b c d Finland 1917–2007 (5 December 2007). "Population development in independent Finland—greying Baby Boomers". Stat.fi. Retrieved 26 August 2010. ^ formin.finland.fi Archived 5 January 2016 at the Wayback Machine; Suurlähettiläs Jaakko Blomberg: Kylmän sodan päättyminen, Suomi ja Viro – Ulkoasiainministeriö: Ajankohtaista. Retrieved on 18 May 2016. ^ "Statistics Finland, Environment and Natural Resources". Retrieved 4 April 2013. ^ "Trends in sea level variability". Finnish Institute of Marine Research. 24 August 2004. Archived from the original on 27 February 2007. Retrieved 22 January 2007. ^ "Finland." Encyclopædia Britannica. Encyclopædia Britannica Ultimate Reference Suite. Chicago: Encyclopædia Britannica, 2011. ^ "Euroopan metsäisin maa". Luke (in Finnish). 2013. Retrieved 30 April 2016. ^ "Nutritional and genetic adaptation of galliform birds: implications for hand-rearing and restocking". Oulu University Library (2000). Retrieved 23 May 2008. ^ "BirdLife Finland". BirdLife International (2004) Birds in Europe: population estimates, trends and conservation status. Cambridge, UK. (BirdLife Conservation Series No. 12). Retrieved 22 January 2007. ^ "Saimaa Ringed Seal". Retrieved 22 December 2018. ^ "SOS: Save our seals". this is Finland (Ministry for Foreign Affairs of Finland). Archived from the original on 10 September 2015. ^ a b c d "Finland's climate". Finnish Meteorological Institute. Retrieved 3 December 2012. ^ "The climate in Finland (finnish)". Retrieved 3 January 2015. ^ a b Havas, Paavo. "Pohjoiset alueet / yleiskuvaus" (in Finnish). Retrieved 3 December 2012. ^ "Finland's Northern Conditions: Challenges and Opportunities for Agriculture" (PDF). Ministry of Agriculture and Forestry, Finland. pp. 1–4. Archived from the original (PDF) on 7 April 2012. Retrieved 3 December 2012. ^ "Tervetuloa aluehallintoviraston verkkosivuille!" (in Finnish). State Provincial Office. Archived from the original on 15 March 2012. Retrieved 9 June 2012. ^ "Tilastokeskus - Luokitukset - Regions -". www.stat.fi. ^ The role that the regional councils serve on Mainland Finland are on the Åland Islands handled by the autonomous Government of Åland. ^ "Valtioneuvosto päätti Uudenmaan ja Itä-Uudenmaan maakuntien yhdistämisestä" (in Finnish). Ministry of Finance. 22 October 2009. Archived from the original on 7 August 2011. Retrieved 30 December 2010. ^ "Paula Risikko Elected as New Speaker of Parliament". Eduskunta. Retrieved 24 February 2018. ^ "Eduskuntavaalit 2015 – tulospalvelu – yle.fi". Yle. Retrieved 5 June 2015. ^ "The Nobel Peace Prize 2008". The Nobel Foundation. Nobelprize.org. Retrieved 10 May 2009. ^ a b "Finland's foreign policy idea" ("Suomen ulkopolitiikan idea"), Risto E. J. Penttilä, 2008. ^ a b c d Text from PD source: US Library of Congress: A Country Study: Finland, Library of Congress Call Number DL1012 .A74 1990. ^ Työvoimakustannukset puuttuvat puolustusmenoista, Statistics Finland (in Finnish): Eurostat ranking is sixth, but the third when conscription is accounted. ^ "European Union battlegroups". Finnish Defence Forces. Retrieved 27 May 2018. ^ "Sweden and Finland Forge Closer Ties With NATO". Wall Street Journal. ^ Finnish soldiers involved in 20-minute gunfight in Afghanistan |Yle Uutiset. yle.fi. Retrieved on 18 May 2016. ^ Finland's participation in Mediterranean crisis management operation, Ukraine as well as Syria, Iraq and ISIL discussed by the President of the Republic and the Ministerial Committee on Foreign and Security Policy – Article – Valtioneuvoston kanslia. Vnk.fi (23 October 2015). Retrieved on 18 May 2016. ^ Yemen kidnappers free Finnish couple, Austrian. Reuters (9 May 2013). Retrieved on 18 May 2016. ^ yle.fi; Tutkija Atte Kaleva: Jihadismi on tullut Suomeen jäädäkseen |Yle Uutiset. Retrieved on 18 May 2016. ^ yle.fi; Näin Ranskan avunpyyntö otettiin vastaan Suomessa – kooste tiistain vaiheista |Yle Uutiset. (17 November 2015). Retrieved on 18 May 2016. ^ a b Amid Russia Tensions, Finland Calls Up 18,000 Reservists For Military Training. Ibtimes.com. Retrieved on 18 May 2016. ^ "Finland in Figures—National Accounts". Statistics Finland. Retrieved 26 April 2007. ^ "Finland in Figures—Manufacturing". Statistics Finland. Retrieved 26 April 2007. ^ "Finland's 'lost decade' continues—economy same size as in 2006". yle.fi. 4 June 2015. ^ "Finland's economy: In search of the sunny side". Financial Times. London. 11 March 2015. ^ "Suomalaisten tulot Euroopan keskitasoa. Hyvinvointipalvelut eivät paranna sijoitusta". Tilastokeskus.fi. 9 June 2008. Retrieved 26 August 2010. ^ "Small enterprises grow faster than the big ones". Helsinkitimes.fi. 11 April 2008. Retrieved 26 August 2010. ^ "Sata suurinta työnantajaa: Nokia jäi kakkoseksi". ^ Finland in Figures (22 January 2015). "Statistics Finland: Labour Market". Tilastokeskus.fi. Retrieved 26 August 2010. ^ . 6d.fi (19 January 2016). Retrieved on 21 July 2016. ^ "OECD recommends Finland to do more to help older people stay in work". Oecd.org. 1 January 1970. Retrieved 26 August 2010. ^ yle.fi; Suomessa on liki miljoona köyhää –"Heikoimmassa asemassa olevista on tullut muukalaisia" |Yle Uutiset. (28 August 2014). Retrieved on 18 May 2016. ^ Finland in Figures. "Statistics Finland: Transport and Tourism". Tilastokeskus.fi. Retrieved 26 August 2010. ^ Households' consumption (19 December 2007). "Own-account worker households' consumption has grown most in 2001–2006". Tilastokeskus.fi. Retrieved 26 August 2010. ^ "Finland Economic Outlook". Retrieved 25 September 2018. ^ "Olkiluoto3 delayed till 2016". YLE. 11 February 2013. Retrieved 7 November 2013. ^ Electricity prices—industrial users. Web.archive.org. Retrieved on 18 May 2016. ^ Energy consumption (12 December 2007). "Statistics Finland". Stat.fi. Retrieved 26 August 2010. ^ Energy consumption (12 December 2007). "Total energy consumption". Stat.fi. Retrieved 26 August 2010. ^ "Metsävastaa: Vattenkraft" (in Swedish). Metsavastaa.net. Archived from the original on 3 March 2009. Retrieved 6 March 2011. ^ "Europe's Energy Portal". energy.eu. Retrieved 17 February 2011. ^ "Finland Energy supply". Statistics Finland. 20 April 2015. Retrieved 28 February 2015. ^ "Energy Consumption in 2001" (PDF). Statistics Finland. Archived from the original (PDF) on 8 November 2006. Retrieved 22 January 2007. ^ Paula Nikula (28 February 2014). "Areva ajaa Olkiluodon työmaata alas" (in Finnish). Kauppalehti. Retrieved 28 February 2014. ^ "Airport operations" (PDF). Annual report 2008. Vantaa: Finavia. 17 March 2009. Archived from the original (PDF) on 7 August 2011. Retrieved 28 July 2009. ^ "Singapore Tops IT Competitiveness in Asia Pacific, Ranks No. 3 Worldwide". 27 September 2011. Archived from the original on 20 December 2012. ^ a b c "Finland economy". The Heritage Foundation. Archived from the original on 29 June 2011. Retrieved 26 August 2010. ^ "Kilpailuvirasto.fi". Kilpailuvirasto.fi. 17 October 2005. Retrieved 26 August 2010. ^ "World Competitiveness Yearbook 2007". Imd.ch. Archived from the original on 12 June 2007. Retrieved 26 August 2010. ^ "The Global Competitiveness Report 2007–2008". World Economic Forum. Archived from the original on 19 June 2008. Retrieved 8 October 2008. ^ "Corruption Perceptions Index 2012 – Results". Transparency.org. Retrieved 12 December 2012. ^ "Ranking of economies – Doing Business – World Bank Group". doingbusiness.org. ^ "The Real Home of Santa Claus in Finland". Retrieved 20 November 2017. ^ Tilastokeskus – Population. Stat.fi. Retrieved on 18 May 2016. ^ "Median Age (Years)". GlobalHealthFacts.org. Archived from the original on 3 April 2013. Retrieved 22 March 2013. ^ Statistics Finland. Retrieved 26 October 2018. ^ "Appendix table 2. Population according to language 1980–2015". Official Statistics of Finland (OSF): Population structure. Retrieved 27 November 2016. ^ a b Statistics Finland, Population Retrieved on 18 October 2017. ^ "Forskningscentralen för de inhemska språken—Teckenspråken i Finland" (in Swedish). Archived from the original on 18 March 2015. ^ "National Minorities of Finland, The Tatars". Forum.hunturk.net. Retrieved 6 December 2011. ^ According to the Finnish Population Registry Centre and the Finnish Sami parliament, the Sami population living in Finland was 7,371 in 2003. See Regional division of Sami people in Finland by age in 2003 (in Finnish). ^ "The population of Finland in 2006". Statistics Finland. 31 December 2006. Retrieved 4 September 2007. ^ "The Constitution of Finland, 17 § and 121 §" (PDF). FINLEX Data Bank. Retrieved 4 September 2007. ^ "More than 90 percent of Finnish residents are at least bilingual". YLE. Retrieved 12 December 2018. ^ "THE LANGUAGES OF FINLAND 1917–2017" (PDF). Lingsoft Language Library publications. Retrieved 15 December 2018. ^ "Muslim Population Growth in Europe". pewforum.org. ^ Salla Korpela (May 2005). "The Church in Finland today". Finland Promotion Board; Produced by the Ministry for Foreign Affairs, Department for Communications and Culture. Retrieved 11 January 2011. ^ "Special Eurobarometer Biotechnology" (PDF) (Fieldwork: January–February 2010 ed.). October 2010. p. 204. Archived from the original (PDF) on 15 December 2010. Retrieved 16 October 2012. ^ "Finland in Figures 2018" (PDF). Finnish Population Centre. Retrieved 10 December 2018. ^ "Trends in Under five Mortality Rate". UNICEF. Retrieved 10 December 2018. ^ a b Statistics Finland – Births 2014. Stat.fi (14 April 2015). Retrieved on 18 May 2016. ^ Lawn, Joy E.; Blencowe, Hannah; Pattinson, Robert; Cousens, Simon; Kumar, Rajesh; Ibiebele, Ibinabo; Gardosi, Jason; Day, Louise T.; Stanton, Cynthia (2011). "Stillbirths: Where? When? Why? How to make the data count?". The Lancet. 377 (9775): 1448–1463. doi:10.1016/S0140-6736(10)62187-3. hdl:2263/16343. PMID 21496911. Retrieved 6 December 2011. ^ "Health care in Finland" (PDF). STM. Archived from the original (PDF) on 17 March 2015. Retrieved 6 September 2014. ^ "Eurostat: Falling suicide rate in Finland nears European average". YLE. Retrieved 18 December 2018. ^ "Health (2004)". Statistics Finland. Retrieved 22 January 2007. ^ "World Happiness report". 2012. Retrieved 7 April 2012. ^ "World Happiness Report 2017". Retrieved 22 May 2018. ^ "World Happiness Report 2016 | Volume I (page 22)" (PDF). Retrieved 22 May 2018. ^ "World Happiness Report 2012 (page 30)" (PDF). Retrieved 22 May 2018. ^ "World Happiness Report 2018". 14 March 2018. Retrieved 21 May 2018. ^ "Summary sheets on education systems in Europe" (PDF). Eurydice.org. Archived from the original (PDF) on 10 September 2008. Retrieved 26 August 2010. ^ UNESCO-UNEVOC (18 November 2013). "Vocational Education in Finland". Retrieved 9 May 2014. ^ "List of University in Finland". www.scholarshipsineurope.com. July 2017. Retrieved 4 August 2018. ^ "Universities of Applied Sciences in Finland". www.studyinfinland.fi. Retrieved 4 August 2018. ^ "Top University Ranking of 2010: University of Helsinki". Archived from the original on 2 January 2010. ^ World Economic Forum. "The Global Competitiveness Report 2013–2014" (PDF). p. 36. Retrieved 9 May 2014. ^ "Tilastokeskus.fi". Tilastokeskus.fi. Retrieved 6 March 2011. ^ "Education at Glance 2007: Finland" (PDF). OECD. ^ Kari Sipilä. "A country that innovates". Virtual Finland. Ministry for Foreign Affairs / Department for Communication and Culture / Unit for Promotion and Publications / Embassy and Consulates General of Finland in China. Archived from the original on 7 July 2011. ^ "Scientific publication—Finnish science and technology Information Service" (in Finnish). Research.fi. 15 November 2007. Archived from the original on 13 November 2013. Retrieved 3 August 2013. ^ "Patents with numbers—Finnish science and technology Information Service" (in Finnish). Research.fi. 8 December 2009. Archived from the original on 11 October 2009. Retrieved 4 February 2010. ^ Sauter, Michael B. (24 September 2012) The Most Educated Countries in the World Archived 20 August 2016 at the Wayback Machine. Finance.yahoo.com. Retrieved on 18 May 2016. ^ And the World's Most Educated Country Is.... Newsfeed.time.com (27 September 2012). Retrieved on 18 May 2016. ^ . finlex.fi; Yliopistolaki 558/2009 – Säädökset alkuperäisinä – FINLEX. Retrieved on 18 May 2016. ^ Educational Schizophrenia in Finland |Teivo Teivainen. Teivo.net (8 August 2013). Retrieved on 18 May 2016. ^ Bremner, Charles (9 December 2017). "Finland is the first country where fathers do most of the childcare". The Times. p. 51. ^ "Finland: the only country where fathers spend more time with kids than mothers". The Guardian. 4 October 2017. Retrieved 23 December 2017. ^ James Stevens Curl, Dictionary of Architecture, Grange Books, Rochester, 2005, p. 1. ^ Sigfried Giedion, Space, Time and Architecture: The Growth of a New Tradition, Harvard University Press, Cambridge, Massachusetts, 2nd edition, 1949. ^ Shah, Neil (15 April 2012). "Guns N' Roses Can Agree on at Least One Thing: This Finnish Saxophonist Rocks". The Wall Street Journal. Retrieved 19 November 2012. ^ "Eurovision Song Contest 2007 Final | Eurovision Song Contest". Eurovision.tv. Retrieved 15 January 2017. ^ "Poets of the Fall". Poets of the Fall. Retrieved 27 April 2018. ^ a b "Media moves". ThisisFINLAND (Ministry for Foreign Affairs of Finland). Archived from the original on 1 May 2011. ^ 2010 Freedom of the Press Survey Archived 5 November 2011 at the Wayback Machine (retrieved 4 May 2011). ^ "Circulation Statistics". The Finnish Audit Bureau of Circulations (Levikintarkastus Oy). Archived from the original on 1 June 2009. Retrieved 25 July 2009. ^ "Market Review 2/2007" (PDF). Finnish Communications Regulatory Authority (FICORA). 31 August 2007. Archived from the original (PDF) on 25 September 2007. Retrieved 4 September 2007. ^ "Google Fusion Tables". fusiontables.google.com. ^ "Odd Facts about Finland". edunation.co. 19 September 2017. ^ "Leijonien MM-finaalista historian katsotuin jääkiekko-ottelu Suomessa!". mtv.fi. 23 May 2016. Retrieved 23 May 2016. ^ Valta vaihtui urheilussa: Suomalaiset arvostavat nyt enemmän futista kuin jääkiekkoa |Jalkapallo |HS. Hs.fi (27 February 2014). Retrieved on 18 May 2016. ^ Jalkapallo nousi arvostetuimmaksi urheilulajiksi |Yle Urheilu. yle.fi. Retrieved on 18 May 2016. ^ (in Finnish) Jalkapallolla eniten harrastajia – se lyö lätkän, hiihto on alamäessä |Länsiväylä. Lansivayla.fi (28 February 2016). Retrieved on 18 May 2016. ^ Finland, Stuart Allt Web Design, Turku. "Finnish Sports: Try the sports Finns love!". www.expat-finland.com. ^ FIBA (31 August 2014). "Fan power! Finn power! The tournament "begins" on a winning note for Dettman's team". FIBA.com. Retrieved 2 November 2014. ^ Travel, Telegraph. "The facts and statistics that show why Finland is the greatest country on Earth". The Telegraph. Retrieved 22 March 2019. Chew, Allen F. The White Death: The Epic of the Soviet-Finnish Winter War (ISBN 0-87013-167-2). Engle, Eloise and Paananen, Pauri. The Winter War: The Soviet Attack on Finland 1939–1940 (ISBN 0-8117-2433-6). Insight Guide: Finland (ISBN 981-4120-39-1). Jakobson, Max. Finland in the New Europe (ISBN 0-275-96372-1). Jutikkala, Eino; Pirinen, Kauko. A History of Finland (ISBN 0-88029-260-1). Klinge, Matti. Let Us Be Finns: Essays on History (ISBN 951-1-11180-9). Lavery, Jason. The History of Finland, Greenwood Histories of the Modern Nations, Greenwood Press, 2006 (ISBN 0-313-32837-4, ISSN 1096-2905). Lewis, Richard D. Finland: Cultural Lone Wolf (ISBN 1-931930-18-X). Mann, Chris. Hitler's Arctic War: The German Campaigns in Norway, Finland, and the USSR 1940–1945 (ISBN 0-312-31100-1). Rusama, Jaakko. Ecumenical Growth in Finland (ISBN 951-693-239-8). Singleton, Fred. A Short History of Finland (ISBN 0-521-64701-0). Subrenat, Jean-Jacques. Listen, there's music from the forest; a brief presentation of the Kuhmo Chamber Music Festival (ISBN 952-92-0564-3). Swallow, Deborah. Culture Shock! Finland: A Guide to Customs and Etiquette (ISBN 1-55868-592-8). Trotter, William R. A Frozen Hell: The Russo-Finnish Winter War of 1939–1940 (ISBN 1-56512-249-6). "Finland". The World Factbook. Central Intelligence Agency. Official statistical information about Finland from Findicator. The Centre Party of Finland (Finnish: Suomen Keskusta, Kesk; Swedish: Centern i Finland) is a centrist, liberal, agrarian political party in Finland. Founded in 1906 as the Agrarian League, the party represented rural communities and supported decentralisation of political power from Helsinki. In the 1920s, the party emerged as the main rival to the Social Democratic Party (SDP), and the party's first Prime Minister, Kyösti Kallio, held the office four times between 1922 and 1937. After World War II, the party settled as one of the four major political parties in Finland. Urho Kekkonen served as President of Finland from 1956 to 1982: by far the longest period of any President. The name 'Centre Party' was adopted in 1965, and 'Centre of Finland' in 1988. The Centre Party was the largest party in Parliament from 2003 to 2011, during which time Matti Vanhanen was Prime Minister for seven years. Following the 2011 election, the party was reduced in parliamentary representation from the largest party to the fourth largest, but in 2015 it reclaimed its status as the largest party, then in 2019 the repeat of 2011 occurred. In June 1941, with the start of the German invasion of the Soviet Union, the Finnish Defence Forces launched their offensive following Soviet airstrikes. By September 1941, Finland occupied East Karelia and reversed its post–Winter War concessions to the Soviet Union along the Karelian Isthmus and in Ladoga Karelia. The Finnish Army halted its offensive past the old border, around 30–32 km (19–20 mi) from the centre of Leningrad and participated in besieging the city by cutting its northern supply routes and digging in until 1944. In Lapland, joint German–Finnish forces failed to capture Murmansk or cut the Kirov (Murmansk) Railway, a transit route for lend-lease equipment to the USSR. The conflict stabilised with only minor skirmishes until the tide of the war turned against the Germans and the Soviet Union's strategic Vyborg–Petrozavodsk Offensive in June 1944. The attack drove the Finns from most of the territories they had gained during the war, but the Finnish Army halted the offensive in August 1944. Finns or Finnish people (Finnish: suomalaiset) are a Finnic ethnic group native to Finland.Finns are traditionally divided into smaller regional groups that span several countries adjacent to Finland, both those who are native to these countries as well as those who have resettled. Also, some of these may be classified as separate ethnic groups, rather than subgroups of Finns. These include the Kvens and Forest Finns in Norway, the Tornedalians in Sweden, and the Ingrian Finns in Russia. Helsinki (, Finnish: [ˈhelsiŋki] (listen); Swedish: Helsingfors [hɛlsɪŋˈfɔʂː] (listen)) is the capital and most populous city of Finland. Located on the shore of the Gulf of Finland, it is the seat of the region of Uusimaa in southern Finland, and has a population of 650,058. The city's urban area has a population of 1,268,296, making it by far the most populous urban area in Finland as well as the country's most important center for politics, education, finance, culture, and research. Helsinki is located 80 kilometres (50 mi) north of Tallinn, Estonia, 400 km (250 mi) east of Stockholm, Sweden, and 390 km (240 mi) west of Saint Petersburg, Russia. It has close historical ties with these three cities. The history of Finland begins around 9,000 BC during the end of the last glacial period. Stone Age cultures were Kunda, Comb Ceramic, Corded Ware, Kiukainen, and Pöljä cultures. The Finnish Bronze Age started in approximately 1,500 BC and the Iron Age started in 500 BC and lasted until 1,300 AD. Finnish Iron Age cultures can be separated into Finnish proper, Tavastian, and Karelian cultures. The earliest written sources mentioning Finland start to appear from the 12th century onwards when the Catholic Church started to gain a foothold in Southwest Finland.Due to the Northern Crusades and Swedish colonisation of some Finnish coastal areas, most of the region became a part of the Kingdom of Sweden and the realm of the Catholic Church from the 13th century onwards. After the Finnish War in 1809, the vast majority of the Finnish-speaking areas of Sweden were ceded to the Russian Empire (excluding the areas of modern-day Northern Sweden where Meänkieli dialects of Finnish are spoken), making this area the autonomous Grand Duchy of Finland. The Lutheran religion dominated. Finnish nationalism emerged in the 19th century. It focused on Finnish cultural traditions, folklore, and mythology, including music and—especially—the highly distinctive language and lyrics associated with it. One product of this era was the Kalevala, one of the most significant works of Finnish literature. The catastrophic Finnish famine of 1866–1868 was followed by eased economic regulations and extensive emigration. The National Coalition Party (NCP; Finnish: Kansallinen Kokoomus; Kok. ; Swedish: Samlingspartiet; Saml.) is a centre-right political party in Finland considered liberal, conservative, and liberal-conservative. Founded in 1918, the National Coalition Party is one of the three largest parties in Finland, along with the Social Democratic Party and the Centre Party. The current party chair is Petteri Orpo, elected on 11 June 2016. The party self-statedly bases its politics on "freedom, responsibility and democracy, equal opportunities, education, supportiveness, tolerance and caring" and supports multiculturalism and gay rights. It is pro-NATO and pro-European as well as a member of the European People's Party (EPP).The party's vote share was approximately 20% in parliamentary elections in the 1990s and 2000s. It won 44 out of 200 seats in the parliamentary elections of 2011, becoming the largest party in the Finnish Parliament (Finnish: eduskunta; Swedish: riksdag) for the first time in its history. On the municipal level, it became the most popular party in 2008. In the 2015 election, the NCP lost its status as the country's largest party finishing second in votes and third in seats, but again joining the governing coalition. Nokia Corporation (commonly referred to as Nokia; UK: , US: , Finnish: [ˈnokiɑ]) is a Finnish multinational telecommunications, information technology, and consumer electronics company, founded in 1865. Nokia's headquarters are in Espoo, in the greater Helsinki metropolitan area. In 2017, Nokia employed approximately 102,000 people across over 100 countries, did business in more than 130 countries, and reported annual revenues of around €23 billion. Nokia is a public limited company listed on the Helsinki Stock Exchange and New York Stock Exchange. It is the world's 415th-largest company measured by 2016 revenues according to the Fortune Global 500, having peaked at 85th place in 2009. It is a component of the Euro Stoxx 50 stock market index.The company has had various industries in over 150 years. It was founded as a pulp mill and had long been associated with rubber and cables, but since the 1990s focuses on large-scale telecommunications infrastructures, technology development, and licensing. Nokia is a notable major contributor to the mobile telephony industry, having assisted in the development of the GSM, 3G and LTE standards (and currently in 5G), and is best known for having been the largest worldwide vendor of mobile phones and smartphones for a period. After a partnership with Microsoft and market struggles, its mobile phone business was eventually bought by the former, creating Microsoft Mobile as its successor in 2014. After the sale, Nokia began to focus more extensively on its telecommunications infrastructure business and on the Internet of things, marked by the divestiture of its Here mapping division and the acquisition of Alcatel-Lucent, including its Bell Labs research organization. The company then also experimented with virtual reality and digital health, the latter through the purchase of Withings. The Nokia brand has since returned to the mobile and smartphone market through a licensing arrangement with HMD Global. Nokia continues to be a major patent licensor for most large mobile phone vendors. As of 2018 Nokia is the world's third largest network equipment manufacturer.The company was viewed with national pride by Finns, as its successful mobile phone business made it by far the largest worldwide company and brand from Finland. At its peak in 2000, during the telecoms bubble, Nokia alone accounted for 4% of the country's GDP, 21% of total exports, and 70% of the Helsinki Stock Exchange market capital. Tampere (Finnish pronunciation: [ˈtɑmpere] (listen); Swedish: Tammerfors [tamɛrˈfɔʂː] (listen)) is a city in Pirkanmaa, southern Finland. It is the most populous inland city in the Nordic countries. Tampere has a population of 235,615 with the urban area holding 334,112 people and the metropolitan area, also known as the Tampere sub-region, holding 385,301 inhabitants in an area of 4,970 km2. Tampere is the second-largest urban area and third most-populous individual municipality in Finland, after the cities of Helsinki and Espoo. It's also the most populous Finnish city outside the Greater Helsinki area and a major urban, economic, and cultural hub for central Finland.Tampere is wedged between two lakes, Näsijärvi and Pyhäjärvi. Since the two lakes differ in level by 18 metres (59 ft), the rapids linking them, Tammerkoski, have been an important power source throughout history, most recently for generating electricity. Tampere is dubbed the "Manchester of Finland" for its industrial past as the former center of Finnish industry, and this has given rise to its Finnish nickname "Manse" and terms such as "Manserock".Helsinki is approximately 160 kilometres (100 mi) south of Tampere, and can be reached in 1h 31m by Pendolino high-speed rail service and 2 hours by car. The distance to Turku is roughly the same. Tampere–Pirkkala Airport is Finland's eighth-busiest airport, with over 230,000 passengers in 2017. Turku (, Finnish: [ˈturku] (listen); Swedish: Åbo [ˈoːbʊ] (listen)) is a city on the southwest coast of Finland at the mouth of the Aura River, in the region of Southwest Finland (Varsinais-Suomi). Turku, as a town, was settled during the 13th century and founded most likely at the end of the 13th century, making it the oldest city in Finland. It quickly became the most important city in Finland, a status it retained for hundreds of years. After Finland became part of the Russian Empire (1809) and the capital of the Grand Duchy of Finland was moved to Helsinki (1812), Turku continued to be the most populous city in Finland until the end of the 1840s, and it remains a regional capital and an important business and cultural center. Because of its long history, it has been the site of many important events, and has extensively influenced Finnish history. Along with Tallinn, the capital city of Estonia, Turku was designated the European Capital of Culture for 2011. In 1996, it was declared the official Christmas City of Finland.Due to its location, Turku is a notable commercial and passenger seaport with over three million passengers traveling through the Port of Turku each year to Stockholm and Mariehamn.As of 30 September 2018, the population of Turku was 191,499 making it the sixth largest city in Finland. There were 330,192 inhabitants living in the Turku sub-region, ranking it as the third largest urban area in Finland after the Greater Helsinki area and Tampere sub-region. The city is officially bilingual as 5.2 percent of its population identify Swedish as a mother-tongue. Åland comprises Fasta Åland on which 90% of the population resides and a further 6,500 skerries and islands to its east. Fasta Åland is separated from the coast of Sweden by 38 kilometres (24 mi) of open water to the west. In the east, the Åland archipelago is contiguous with the Finnish Archipelago Sea. Åland's only land border is located on the uninhabited skerry of Märket, which it shares with Sweden.Åland's autonomous status means that those provincial powers normally exercised by representatives of the central Finnish government are largely exercised by its own government.